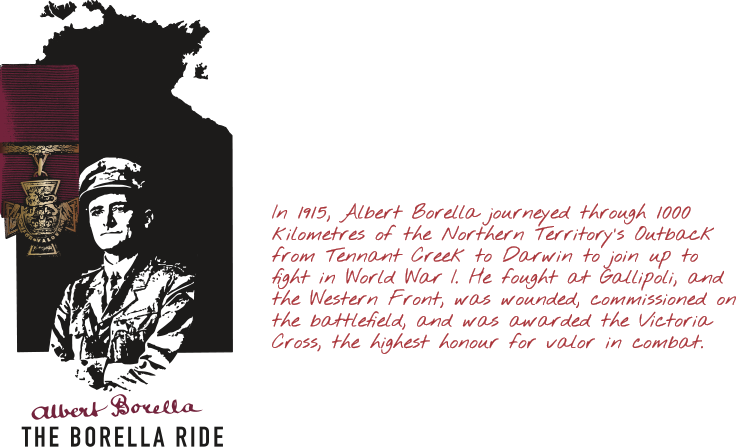 On 8 March 1915, Albert Borella set sail from Darwin to Townsville on the SS Aldenham to enlist in the First World War. 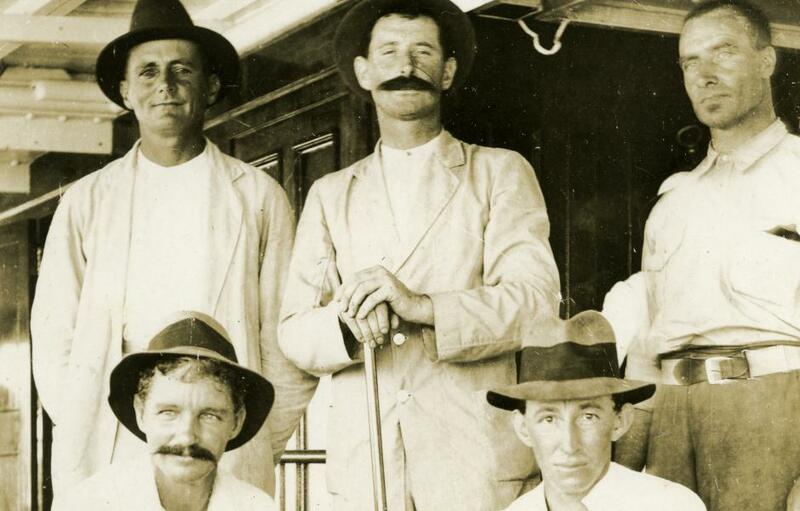 The Darwin wharf was filled with friends and onlookers to celebrate the departure. 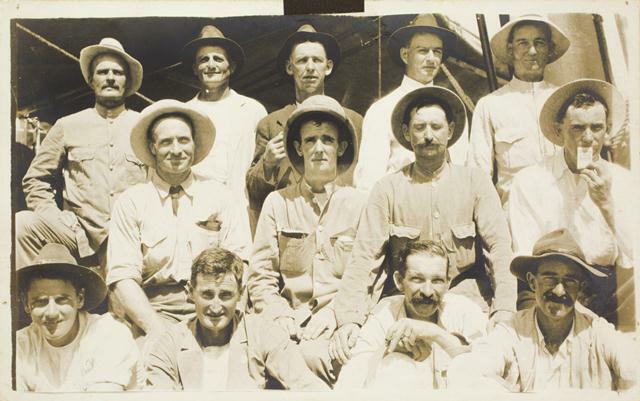 The newspaper at the time recorded that the crowd cheered the volunteers on the steamers when they left the wharf, singing “It’s a long way to Tipperary”. 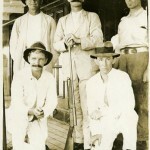 The SS Aldenham was the second ship to take volunteers to Townsville to enlist, with the Taiyuan having left Darwin four days earlier with the first group of men. 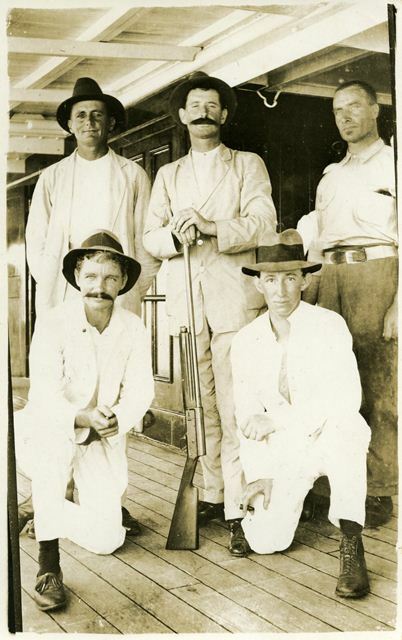 Photo, captioned “Volunteering for active service", five of the first fifteen Territorians who volunteered for active service. 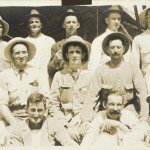 Standing L-R: Lieutenant Albert Borella No. 275 26th Infantry Battalion VC MM; Lieutenant Robert Dingwall Buttercase No.1376 41st Battery KIA 05 April 1918; Private James Park, No.658 13th Light Horse, 1st reinforcements; Private James Lawrence Cain No.2060 9th Battalion, 5th Reinforcement KIA 20 April 1916; Private Frank Thomson No. 2057 9th Battalion, 5th Reinforcement.